Click the link for more information on supported InfoRad Messaging Gateway Service. 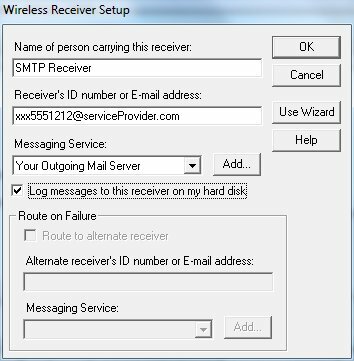 If you do not have service with a supported InfoRad Messaging Gateway Service or Enterprise Messaging / Business Messaging service from your cell phone carrier, but wish to send messages via the internet, you will need to set up your outgoing email server (network, ISP, or third-party email server) as a Messaging Service in InfoRad Wireless. Without “Enterprise” services, you are limited to dial-up TAP and “consumer-grade” SMTP. Consumer-grade SMTP may have limited accessibility and capability. While SMTP (email) messaging can be (and usually is) reliable, it is not recommended for emergency or critical messaging. In the Enterprise or Enterprise SV the Reply-To Address can be set on the Server and/or the Clients. (If there is no Client Reply-To Address set, then the Server Reply-To Address will be used.) The Client Reply-To Address field found in the Setup Menu - Preferences. NOTE: Without an email address in the Reply-To Address field, some SMTP email servers may reject the message, and the cell phone carriers may either delay the message by processing through further SPAM detection filters (delay may be from minutes up to 12 hours) or simply may not forward the message to the phone. The subject line is optional, unless your email server requires a specific entry to allow sending. NEXT: You can get your outgoing email server settings from your email client software (such as Outlook, Outlook Express, Eudora, Thunderbird, etc.). 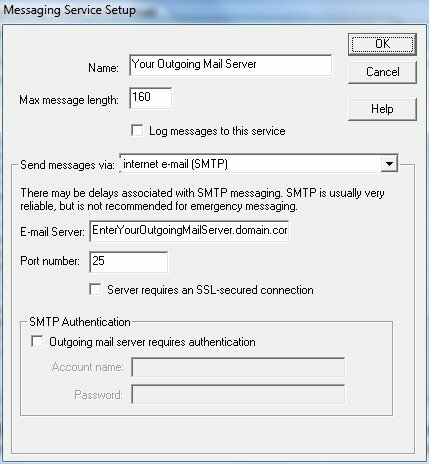 Enter your outgoing mail server settings in a new Messaging Service (including alternate port number, Authentication and SSL settings if required), and then assign your Receiver(s) (in Edit Menu | Receivers) to use this new Messaging Service. 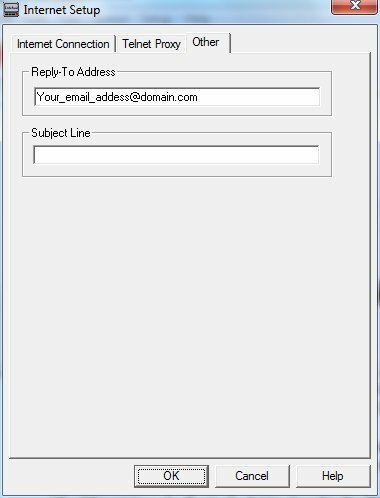 The Receiver Setup should use the email address of the device for the Receiver ID. Many ISP mail servers are also preprogrammed into the installed database. Also, our website shows many setup examples for Internet Service Providers outgoing mail servers at the same link above. You can use this new Messaging Service (using your outgoing email service) to send to any email address. Many cell phones, pagers, and other wireless devices are accessible in this way. Please note when using an internal mail server like Exchange, Lotus, or GroupWise that Relay permission is typically turned off for SPAM prevention purposes. Your email server administrator will need to grant Relay permissions to the machine running the InfoRad server (in the case of Enterprise or Watch-IT products), or to the machine(s) running the InfoRad desktop application. Email servers that do not have Relay permissions set will typically respond with a 6203 error, and/or error statements such as “Relay not allowed” or “Invalid address”. Below is a generic SMTP setup and associated screen shots. 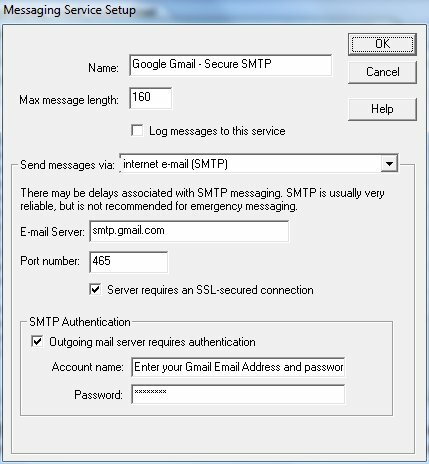 An example SMTP setup using Google Gmail follows.